First Choice ER is a free-standing, fully equipped emergency room that can handle all adult and pediatric, major and minor emergencies. Be seen by a board certified ER physician and emergency trained nurses. On-site services include but are not limited to: digital x-ray and CT scan, treatment for broken bones, lacerations, and heart attacks, EKG and cardiac enzyme analysis, certified full service laboratory, oxygen and breathing treatments, strep, mono, and flu tests, and IV fluids. 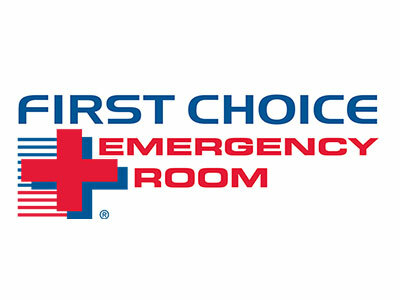 First Choice Emergency Room is a full service, free standing ER. First Choice Emergency Room is the largest group of freestanding emergency rooms in the nation and is licensed by the State of Texas.